I shared a picture of my already made ogbono soup with okro on my WhatsApp stories and my friends starting hounding me for the recipe. I didn’t take any pictures until I was done making it because I didn’t plan to blog it. However, I will get pictures of the ingredients I used from my previous food posts. 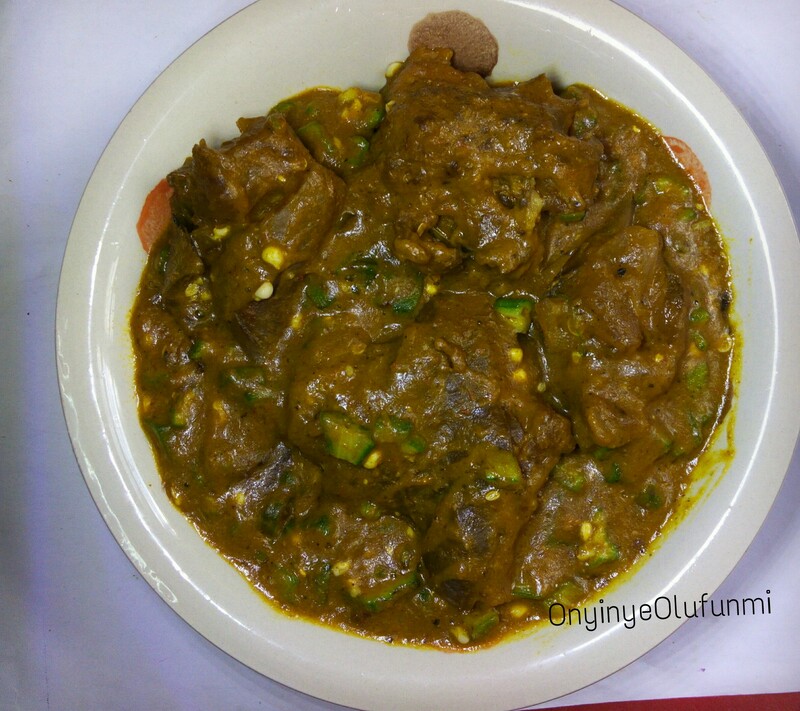 Ogbono is quite easy to make. You can grind the ogbono in the market or at home, depends on what you want. You just have to make sure the ogbono seeds are fresh and the grinder is clean. You boil the beef with salt, crayfish, moringa, blended pepper and onions. You get your stock water from the water used in boiling the beef. Add the ground ogbono to boiling water, do not cover the pot. By not covering the pot, you retain the slimy consistency of the ogbono, especially if it is fresh. As it boils, it gets thicker and comes up. You boil for about 10 minutes and stir from time to time. Don’t forget to stir especially if you are like me that added little stock water so it can be thick. Also, remember that the stock water has all the ingredients. You might taste as you add and add plain water if you still want to add more water until it tastes right. I know right! 😉 Thank you.